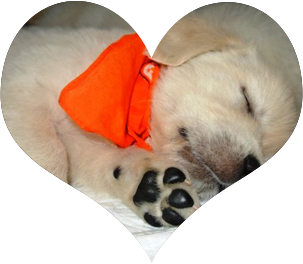 Our goal is for each of our puppies to be matched with the family that is right for them. 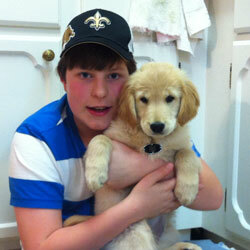 Read what our customers are saying about their Golden Miracle Retriever Puppies! Our Layla is a Christmas puppy from a Zander and Juliet litter. She is such a doll. She has such a good temperament and is super smart. Just one of the sweetest dogs I have ever been around. Nola takes great care with all of her dogs and she is so easy to deal with. It is clear when talking with her that the puppies are part of the family and are so well cared for. The puppies are healthy and playful, which makes choosing one hard. The upside to that is that you pretty much can�t go wrong with your choice. 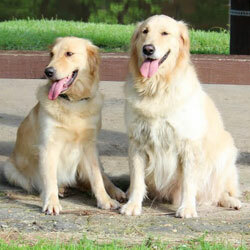 I have no reservations recommending these wonderful dogs. They are truly worth more than the investment and I look forward to many more years with this special girl. 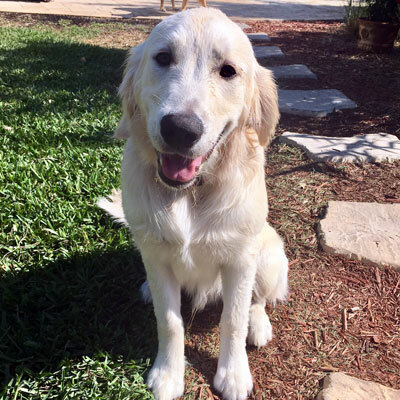 We had a wonderful experience buying our handsome baby from Nola, Golden Miracles. He was from Juliet's and Zander's litter and was born October 27th she sent us pics, and we followed on Facebook, until we got to bring him home on Dec 23rd....our sweet little Christmas baby. 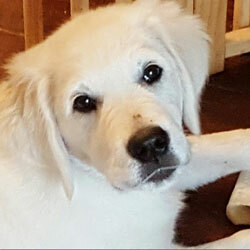 We absolutely adore our precious Brady, he has such a sweet and playful personality - he often gets complimented on his looks (of course) and his gentle and bubbly personality.....and, I'd like to add that he is quite brilliant as well, he was very easy to train and eager to please. We taught him the basic commands the first week he was with us! This is our darling girl Callie. We lost our 2 Goldens and a Lab within 18 months due to age. My husband and I decided to start looking for our new 4-legged family member. We went to Golden Miracles website and there she was. She came to us at 8 weeks old and was happy, healthy and well adjusted. 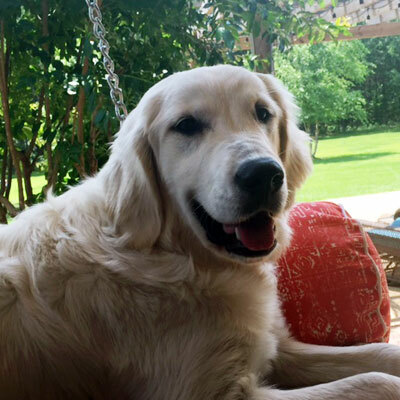 Nola was in constant contact with us about her needs as far as her nutrition and health. Nola is very caring about their puppies and well being. We love Callie so very much. She truly is our miracle! We are very happy with our puppy. She is playful and sweet. There's a line of people waiting to babysit her! You can definitely tell that she came from a caring family. Nola has been easy to work with and we especially liked how she provides picture updates on Facebook. I'd recommend her and her little puppy miracles to anyone. Thanks! After the loss of my first Golden Retriever I was sure that I'd never find another that would fill the void he'd left. Then I found Golden Miracles. From the first picture I saw of Boondocks, he stole my heart. Over the years our bond has grown deeper and he is truly this "mom's best friend". 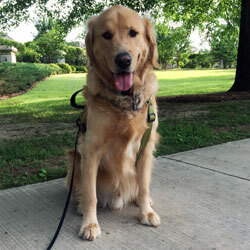 Boondocks is a working therapy dog and brings much joy to kids at schools, libraries, and folks in the nursing home. Knowing that we wanted another Golden with similar attributes we went back to Golden Miracles two years later for our Angel. Angel is more spirited where Boon is more relaxed but their personalities are very complementary to the other. Angel is the perfect blend of drive and focus making her easy to train and willing to complete whatever task is given. She and Boondocks are the epitome of what a well bred, well loved Golden Retriever is meant to be. Each day they give us a glimpse of God's unconditional love. We are so thankful to Golden Miracles for Boondocks and Angel!! Five years ago, my family decided we needed a third child. Our lives were changed when Brown Boy came home with his Christmas stocking goodie-bag. My two boys learned all about taking care of a baby and discovered the joy of having a playmate that loved them unconditionally. Nola picked Brown Boy for us and he has been the perfect little brother! My six year old named him Wall-e (after the little Disney robot) and Wall-e has been the sweetest, most loving, 80-pound lap baby there ever was. He has the perfect temperament for our family and he is pretty sure that he is human! He does everything with the boys - from fishing and swimming, to playing ball and chase, to trick-or-treating (in costume) and playing video games. Nola Curtis loves her dogs and their puppies as if they were her own children. She makes sure they are loved and cared for so their next families have happy, healthy fur-babies. Thanks Nola, for our sweet Wall-e! 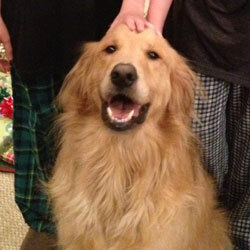 We got our Golden Retriever, Sunny (Mr. Sunshine), from Golden Miracles and couldn't be happier with him. He is 3 and a half now and is well-behaved, healthy, and great-looking. He has a big personality and a calm temperament. He is great on a leash, listens well to commands, and is wonderful with children and other dogs. He is always sweet and friendly and never aggressive. 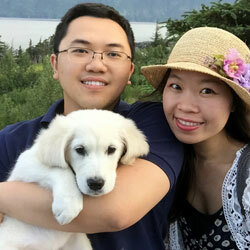 Sunny is truly a member of our family and we couldn't imagine life without him! Words can't express how happy we are to have Breezy in our family! Golden Micracles is the Best Breeders. All Goldens are special, but your dogs are extraordinary! We have truly been blessed with the "Best Dog Ever"! Kassie is a wonderful, gentle dog. She goes to work each day with Sr. Ann at the City of Mobile Art Center in Lavretta Park. 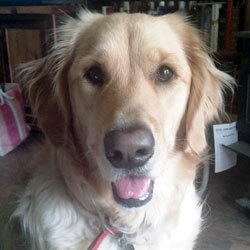 Kassie happily greets each adult and child who enters the art center for class. She has an amazing way of knowing if someone is sick, upset, or worried about something. She sits right by (on their feet) the people who are sick or upset and tries to comfort them while they are at the art center. She our Golden Miracle! My beautiful, gentle Libby (Liberty Bell), my heart. 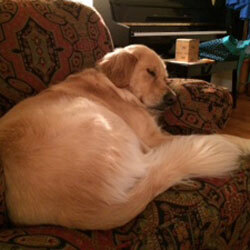 Libby is almost 3 and is a Golden Miracles puppy. Nola and Mark are dog people and spoil all their puppies. A golden is gentle and loving (Libby really loves turtles and squirrels) I have a disability and Libby is training herself to help me. She loves to play outside but must be in the middle of the bed at bedtime. She is also a great watchdog. I love her to pieces.